Djavareshkian, M., Esmaeli, A., Parsania, A. (2631). A Comparison of Smart and Conventional Flaps Close to Ground on Aerodynamic Performance. Journal of Aerospace Science and Technology, 7(2), 93-106.
mohammad Hassan Djavareshkian; A. Esmaeli; A. Parsania. "A Comparison of Smart and Conventional Flaps Close to Ground on Aerodynamic Performance". Journal of Aerospace Science and Technology, 7, 2, 2631, 93-106. Djavareshkian, M., Esmaeli, A., Parsania, A. (2631). 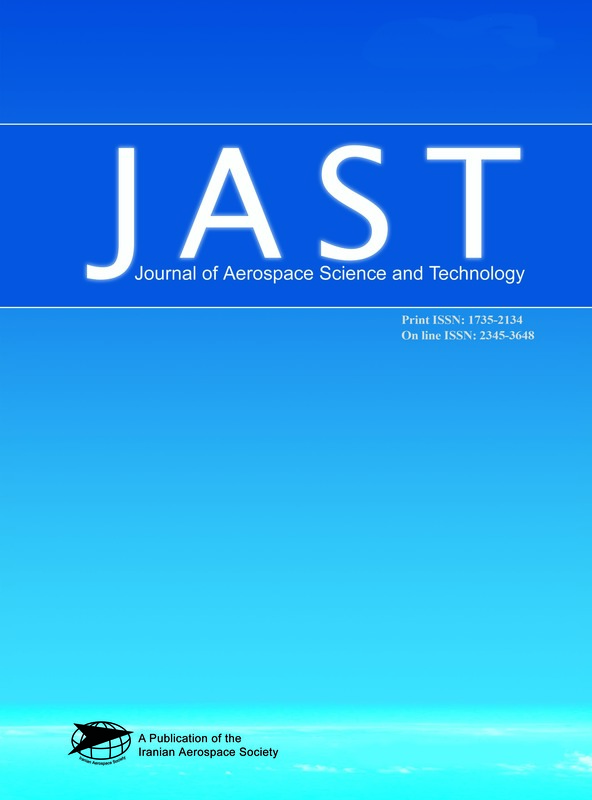 'A Comparison of Smart and Conventional Flaps Close to Ground on Aerodynamic Performance', Journal of Aerospace Science and Technology, 7(2), pp. 93-106. Djavareshkian, M., Esmaeli, A., Parsania, A. A Comparison of Smart and Conventional Flaps Close to Ground on Aerodynamic Performance. Journal of Aerospace Science and Technology, 2631; 7(2): 93-106. The prediction of aerodynamic characteristics and smart flap of airfoil under the ground effect are carried out by the integration of computational fluid dynamics. Considering different types of beams, a parametric bending profile of a smart flap is designed. Cantilever beam with uniformly varying load with roller support at the free end is considered in here. A pressure-based implicit procedure is utilized to solve Navier-Stokes equations and a nonorthogonal mesh with collocated finite volume formulation is used for simulation. The boundedness criteria for this procedure is determined by Normalized Variable diagram (NVD) scheme. The procedure incorporates the eddy-viscosity turbulence model. The SIMPLE algorithm is applied for turbulent aerodynamic flows around the airfoil with smart and conventional flaps. The results of two flaps are compared for different flap length, flap angle and ground clearance. It is found that: 1- The pressure coefficient distribution in smart flap is smoother than conventional flap. 2- Lift-drag ratio in smart flap is higher than conventional flap. 3- The maximum lift-drag ratio is at flap angle 7.5?. 4- The minimum ground clearance has the highest lift-drag ratio. 5- The increasing of flap length leads to the increasing lift-drag ratio.